DACA has been given the distinct honor of restoring the slate roof on the historic Topeka Kansas High School. The Topeka Board of Education established Topeka High School in 1871 and the 3 story Gothic Building was finished in 1931, with architecture modeled after the Hampton Court Palace in London. 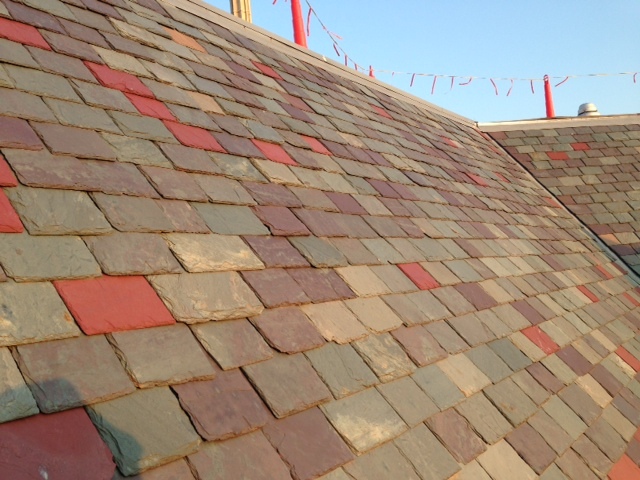 The slate roof, once restored, will continue to serve as the crowning jewel of this beautiful structure. DACA replaced the existing roof of Liberty Hall (Lawrence, Ks) with a 60mil Extreme TPO membrane. 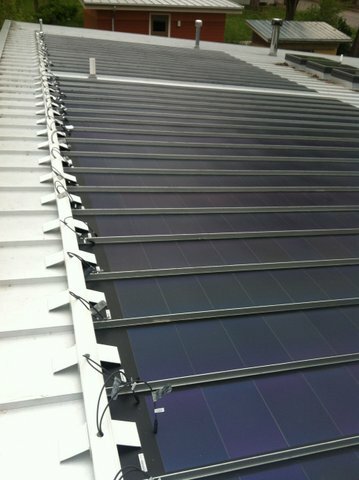 After completion, we installed thin film solar panels for electrical generation. 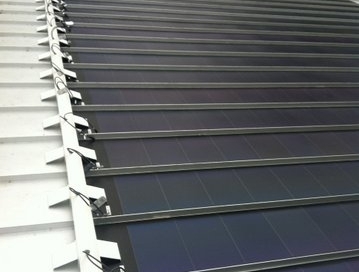 The solar panels help mitigate the buildings’ large energy requirements. 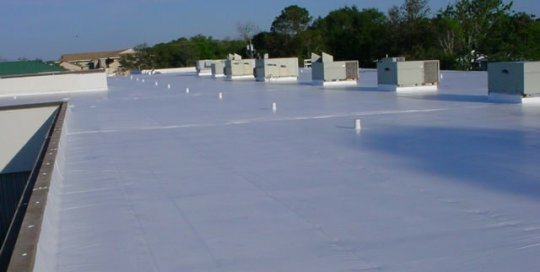 Using a white reflective roofing membrane is a must for energy efficiency. 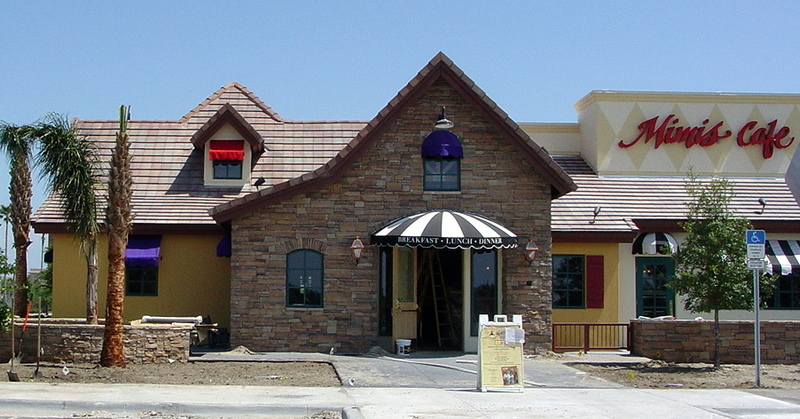 DACA traveled extensively for the installation of the complex Mimi’s Cafe roofs (Kansas City). 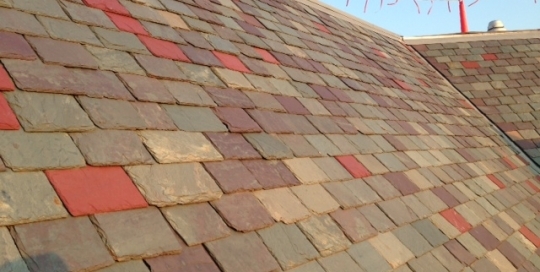 Specifying every detail in the book, these roofs require a highly specialized skill set. DACA uses a restaurant friendly PVC for the low-sloped roof and the visible exterior usually called for a concrete tile or a synthetic slate. 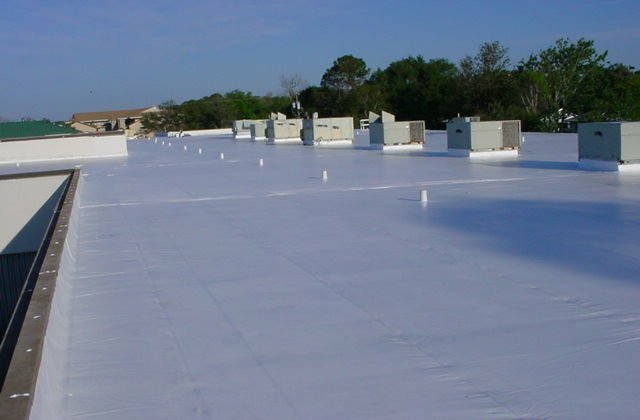 Mechanically fastened pvc membrane duro-last re-roofing projects.